Hyundai has just took the wraps off the new Kona compact SUV. The Kona was unveiled at an event in Milan, Italy. The new Hyundai SUV will rival the likes of Nissan Juke and Honda HRV. Expected to first launch in Europe and North America next year, the SUV is also likely to go on sale in India. 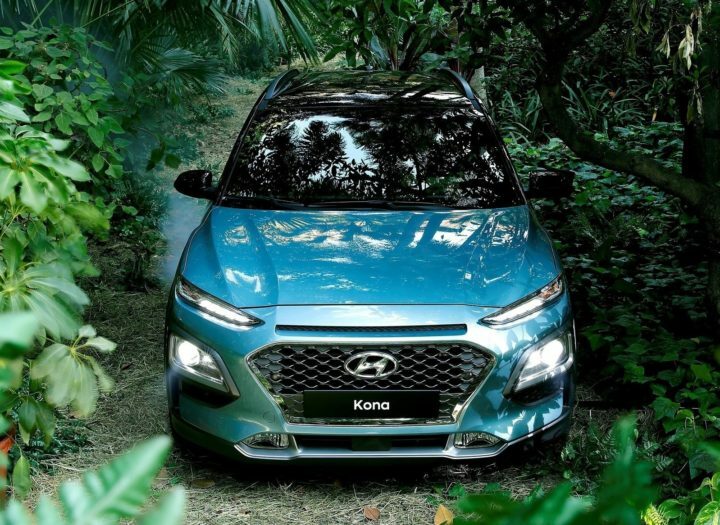 Hyundai, however, has so far been mum about Kona’s India launch plans. That said, we do expect the Hyundai Kona SUV India debut to happen at the Auto Expo 2018. The new Hyundai Kona SUV looks really stylish as it hints at the future design direction of upcoming Hyundai SUVs. 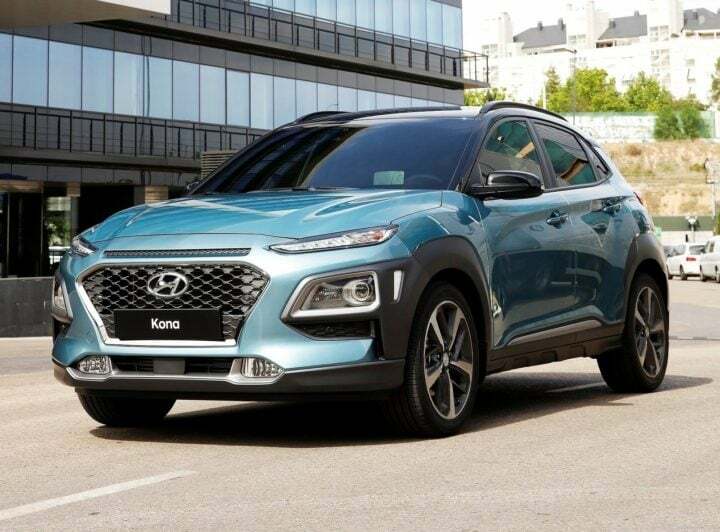 “With the Kona, we have created a stylish and highly functional compact SUV, perfectly suited to the needs of customers who pursue challenging, action-filled lifestyles,” said Euisun Chung, Vice Chairman of Hyundai Motor Company. “We aim to set new standards for the compact SUV segment, with appealing design, cutting-edge connectivity and class leading safety features.” Other than a really stylish exterior, the new Hyundai model also gets a handful of premium features like Head-up Display and a modern infotainment system. Internationally, the new Kona SUV will find itself sitting alongside the Tucson in the carmaker’s product portfolio. In India, however, the new SUV is likely to find itself slotted between the Creta and the Tucson. Internationally, the new Hyundai Kona SUV will be available with a range of new-age engines like a 1.0-litre T-GDI Petrol engine and a 1.6-litre CRDI Diesel unit. In India, however, the upcoming SUV is likely to share its engines with the upcoming new Hyundai Verna C-segment sedan. This will include 1.6-litre Petrol and Diesel engines that are likely to come mated to 6-speed manual and automatic transmissions. The Kona will get an All-Wheel Drive option in many markets abroad. India could get only Front-wheel Drive models. The Hyundai Kona, if and when launched in India, will become the fourth SUV in Hyundai India’s model range. Given our country’s fast increasing affinity towards SUVs, the Kona could help the Indian subsidiary of the Korean auto giant establish even a stronger foothold in the Indian car market. Like we said, Hyundai India is yet to share any details on its new SUV’s India launch prospects. However, we do expect the new model to make its India debut at the Auto Expo 2018. Subsequently, the i30-based crossover could launch here in July, 2018. In India, the Kona will possibly find itself positioned between the Creta and the Tucson. This means it’s likely to have a starting price of Rs 12 lakh. The fully loaded model could cost as much as Rs 16 lakh. With such prices, the upcoming Hyundai SUV in India will rival upcoming models like Honda HRV and new Maruti Grand Vitara. Details on ARAI-mileage will emerge only at the time of Kona’s India launch. Till then we can only have a fair idea of the upcoming model’s fuel efficiency. As the engines will come from the new Verna, the Kona, in all likelihood, will have a high average fuel mileage to offer. In international markets, Kona will launch with a range of modern Petrol and Diesel engines with displacement varying from 1.0 litre (with Turbo) to 1.6 litre. In India, the engines will be shared with the new Hyundai Verna. Hence, the India-spec model will offer 1.6 L Petrol and 1.6 L Turbo Diesel engines. Gearbox options will 6-speed Manual and Automatic units. In India, the Hyundai Kona SUV will become a direct rival to the upcoming new Maruti Suzuki Grand Vitara and the Honda HRV. In terms of price, it will also end up rivaling the top-end variants of the Tata Hexa and the Mahindra XUV500. With an updated XUV500 in the pipeline, it will be interesting to see how Kona fares against bigger, more spacious and more powerful competition retailing for roughly the same price. 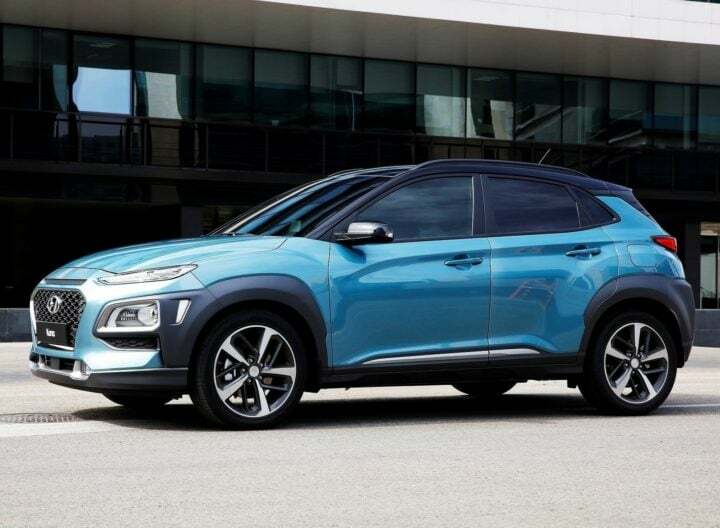 The Hyundai Kona takes many design cues from the Hyundai Intrado concept that made its debut over a couple of years ago. The Intrado was first seen at the 2014 Geneva Motor Show. It previews an upcoming compact SUV/crossover from Hyundai. It’s design follows the popular Fluidic Design theme and the crossover features bold and aggressive looks. Yet, the surfaces are neat and Hyundai hasn’t gone overboard with flamboyance. 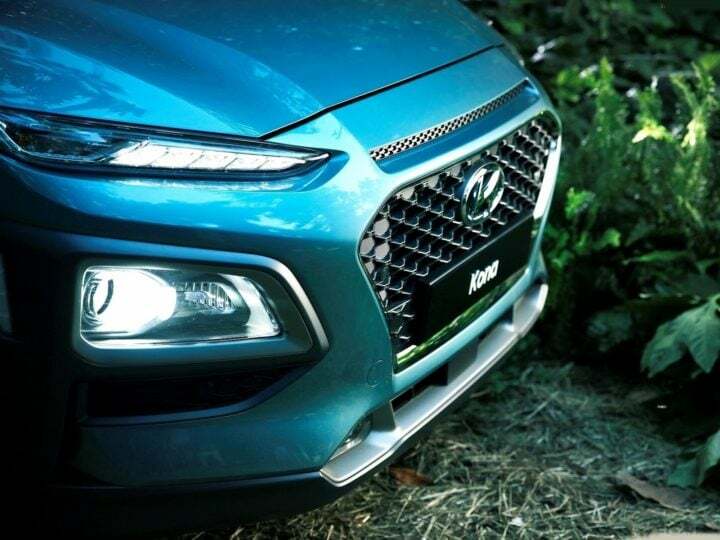 In line with current Hyundai models, the Kona’s front-end features a cascading radiator grille. It also gets sleek headlamps with LED fixtures and sporty bumpers. There will be little resemblance with the Creta. Hyundai is yet to reveal the interior of the Kona compact SUV. However, on the inside, the Kona will come with many segment-first features. 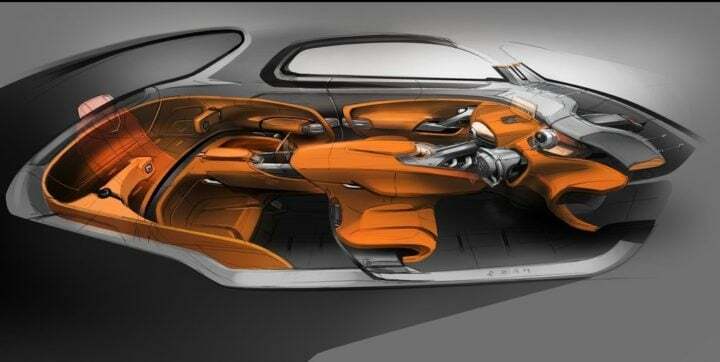 It will offer a premium cabin that will be high on both aesthetic appeal and build quality. The new SUV from Hyundai is longer than 4-metres in length. It is 4,165 mm long. It measures 1,800 mm in width and has a height of 1,550 mm. The new SUV has a wheelbase of 2,600 mm and a decent ground clearance of 170 mm. 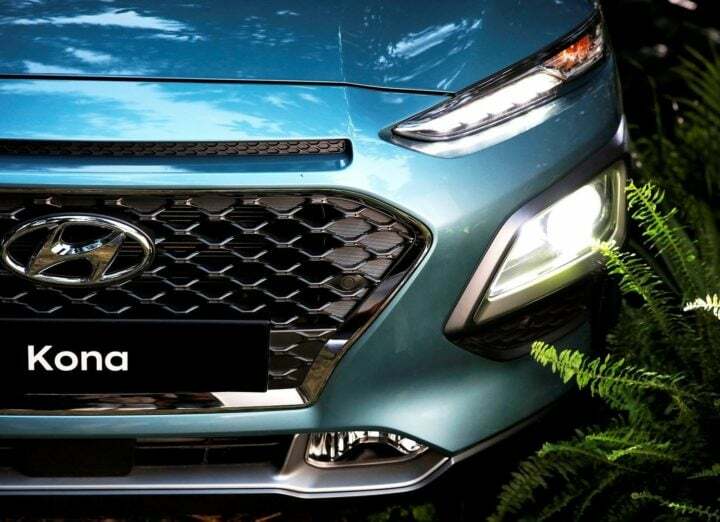 Stay tuned to CarBlogIndia for news updates on Hyundai Kona SUV India launch date, price, specifications, mileage and other details.